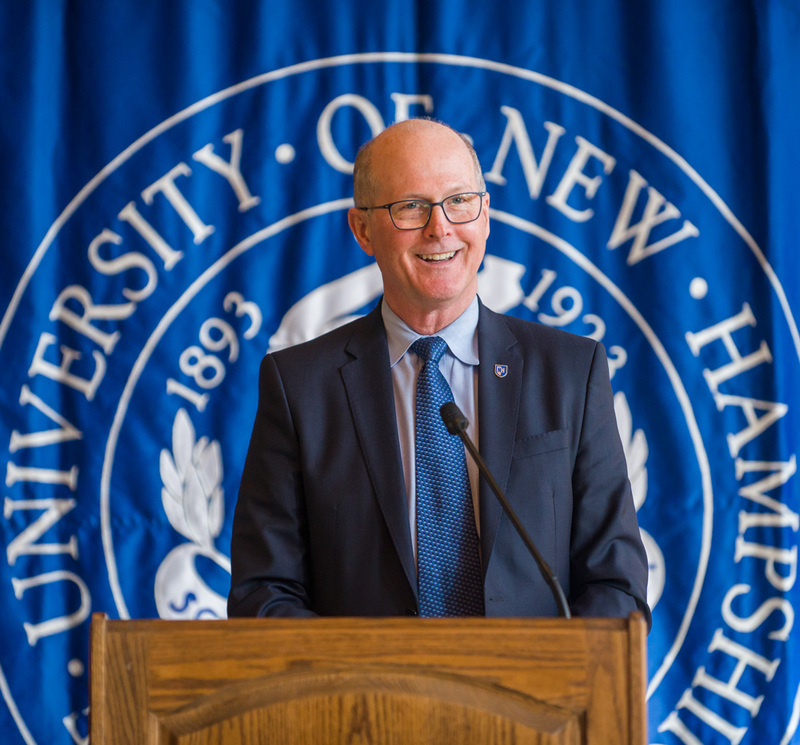 UNH President James "Jim" Dean Jr.
At the University of New Hampshire, we seek to create an environment characterized by openness, fairness and equal access for all students, staff and faculty. A welcoming and inclusive campus climate is grounded in mutual respect, nurtured by dialogue, evidenced by a pattern of civil interaction and is one of the foundations of our educational model. You may recall that a presidential task force on campus climate issued a report and recommendations last spring. One of those recommendations was the creation of a council to advise and inform me on issues of race, inclusion and civility. Another recommendation encouraged the integration of diverse perspectives and research methodologies in the curriculum of English 401, a required course for all first-year students. Furthermore, in addressing recommendations about programming, the university’s master calendar now includes dates of importance to religious and other campus groups for better planning of syllabi and community events. Learn more about the continuation of this work on inclusivity. The task force report also advocated for a vital and relevant campus climate assessment, a tool providing us with the opportunity to make positive, lasting changes toward a more inclusive campus. To ensure full transparency and to provide a more comprehensive perspective, we have contracted with Rankin & Associates Consulting to lead this effort. The firm has conducted more than 190 campus climate assessment projects over the last 20 years. A team from Rankin & Associates currently is working with a task force of students, staff, faculty and leaders to develop and implement the assessment. The results will better enable us to develop both programs and policies to increase inclusivity in areas which are shown to be problematic and to enhance and replicate programs and policies in areas which are shown to be successfully meeting the needs of the community. A climate project website, currently under construction, will provide regular communication on the project’s process and results. If you have questions or concerns, please direct them to the task force co-chairs, Christine Shea, special assistant to the provost for UNH ADVANCE, and Kathy Neils, chief human resources officer. We will send a link to the site when it goes live at the end of November and additional information about the project as it is available. I hope that you will join me in supporting this important project by taking the survey when it is available this spring.